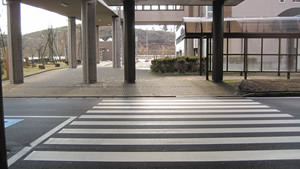 Take the exit on the arrival level, go straight, cross at a pedestrian crossing, then turn left. Go straight for another 20 m and you'll find a boarding point and our blue sign. Please leave the domestic airline arrival lobby. You can look at the counter of the rent-a-car in the front. The exit is on the left side of the counter. This is an exit. 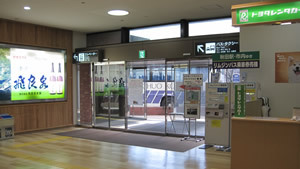 There is a platform sign of AIRPORT LINER on the left side. 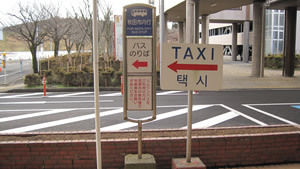 There is the signboard indicating "a limousine and the platform of the general taxi being on the left" in the front (not AIRPORT LINER platform). You don't go to the left, and please cross the pedestrian crossing seen to the right. Please turn to the left if you cross this pedestrian crossing. You can look at another pedestrian crossing before. 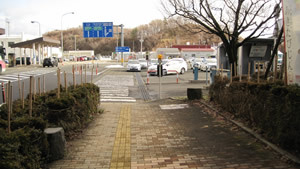 Please cross this pedestrian crossing (the gate of the parking lot is seen to the right). Because a car may come out of the parking lot, please be careful. 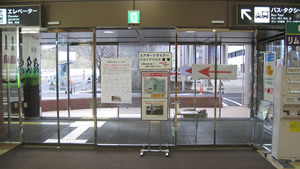 When you cross the second pedestrian crossing, a blue signboard is seen to the right. 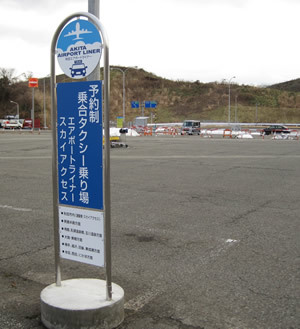 The side of this blue signboard is a platform of AKITA AIRPORT LINER. 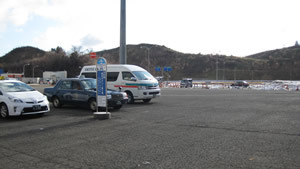 You arrive from the airport exit in a 1-minute walk. 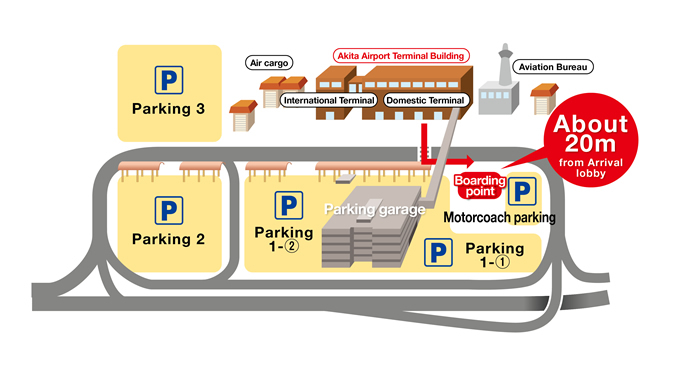 ※Please contact the Airportliner companies for further information about available departure／arrival points.